Remember when Brendan Greene announced his development studio Bluehole was currently working on two new maps to add to the work in progress known as Playerunknown’s Battlegrounds? Thanks to Gamescom we now have our first glimpse at the next map to be added….care to take a look? 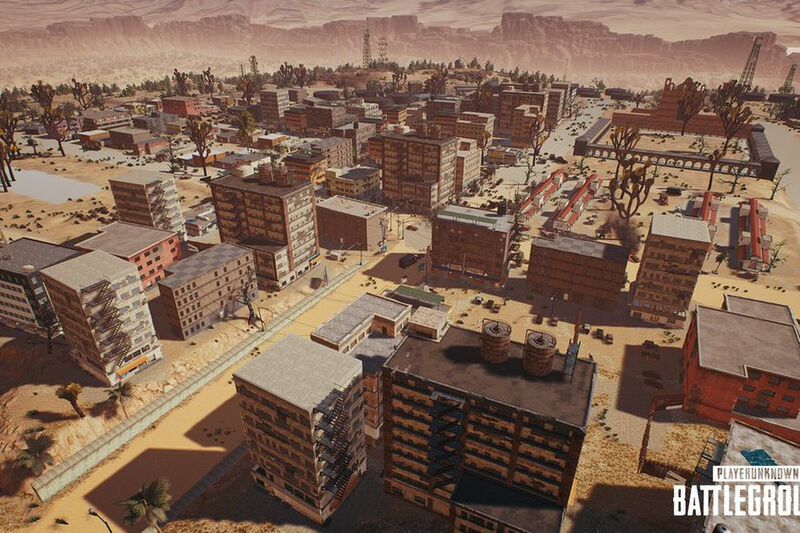 This is the Desert map, which contains a skyscraper-dotted city at its center. 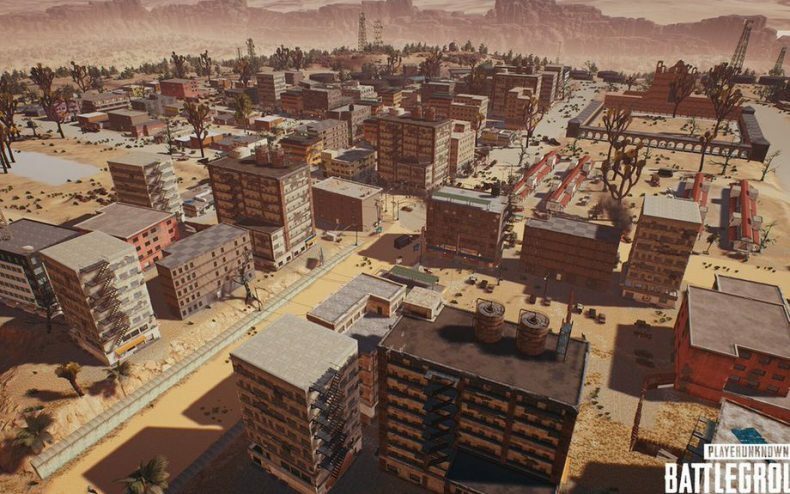 The new map is smaller horizontally, but MUCH bigger vertically….most of these buildings will be accessible, meaning there will be plenty more places to hide, gather loot and ambush others. The cityscape should add new kinds of strategy to the Battlegrounds experience. 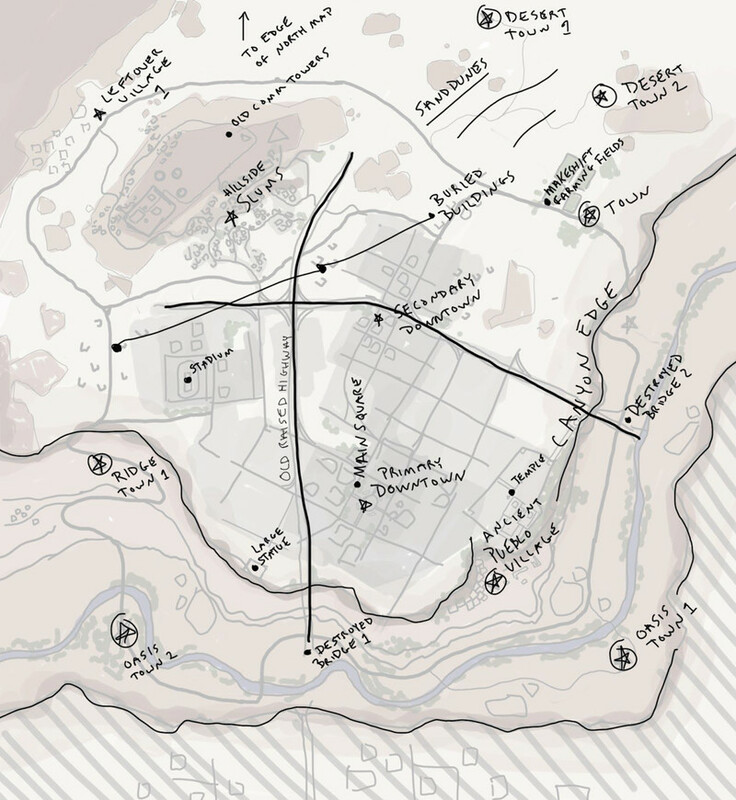 Greene also showed off Bluehole’s initial rough sketch for the Desert map, and the scrawls provide hints on what’s offscreen in this initial pic. A river, a stadium and several small villages will also be part of the map…but as the match winds down and the circle closes in, the city will always be where the final showdowns take place. What Greene didn’t say is when we can expect this map to be done. There will, however, be an update to PUBG before the end of this month.